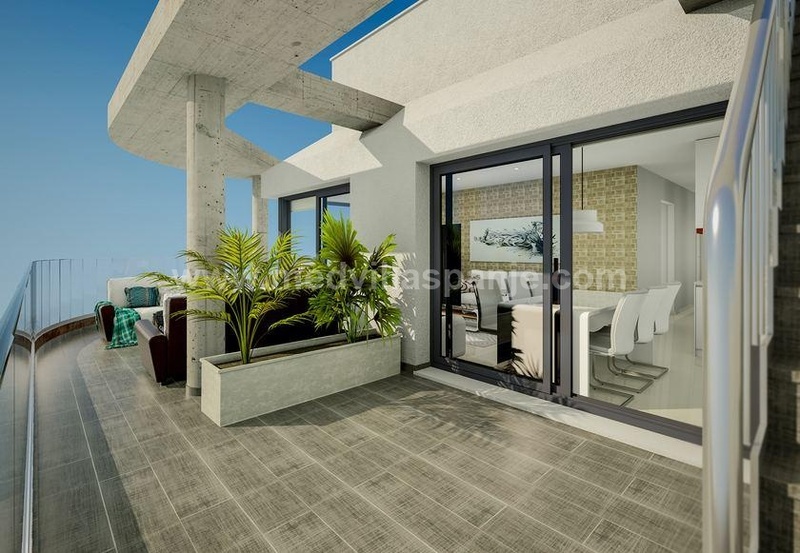 These penthouses and apartments are built on a beautiful golf domain near Torrevieja and offer a beautiful view over the communal swimming pool and the surrounding mountains and green areas. All homes have a spacious living and dining room, 2 bedrooms and 2 bathrooms. The ground floor apartments also have a cozy garden and the penthouses have a beautiful roof terrace. When purchasing an apartment or penthouse you will receive a free membership card that gives you discounts between 10 & 20% for the green fee on 3 golf courses, the hotel, all restaurants and shops in the resort, the SPA, paddle tennis and the fitness . The golf resort is located between pine-covered hills just 10 minutes from the golden sandy beaches of Orihuela Costa. The airports of Murcia as well as those of Alicante are about 30 minutes away. The nearest town is Torrevieja, which can be reached in about 15 minutes. There is a five-star hotel with spa on the project.